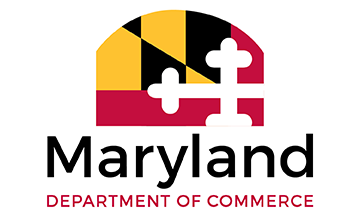 The Maryland/Israel Development Center (MIDC) is a non-profit “public-private partnership” that promotes bi-lateral trade and economic development. 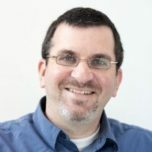 It provides an “Instant Infrastructure™” of business contacts in the U.S. for Israeli companies, and helps Maryland businesses export to Israel and find exciting new partners and technologies. 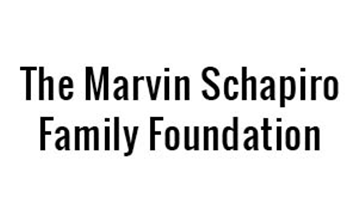 The MIDC’s Founding Partners are the Maryland Department of Commerce, Israel’s Ministry of Economy and Trade, and The Associated: Jewish Community Federation of Baltimore. I am a proud member of the MIDC. Over the years, I have met with and counseled many Israeli companies to help them achieve a successful entrance into the U.S. market. By creating entrepreneurial bridges, the MIDC is at the forefront of developing international business relationships and partnerships. MIDC provides a great platform for U.S. and Israeli businesses to collaborate and work globally to bring innovative solutions to customers around the world. Patriot Technologies has been a proud member of MIDC for many years. This relationship has enabled us to establish partners and foster continued growth for many years to come. 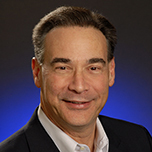 STEVE KEEFE PRESIDENT AND CEO, PATRIOT TECHNOLOGIES INC.
Nayax is excited to be a new member of the MIDC. As an Israeli owned global unattended payment solutions company with US operations headquartered in Hunt Valley, we embrace the opportunity to foster new relationships and partnerships with like-minded companies and individuals throughout our community. Thanks to MIDC’s remarkably deep relationships and experience, University of Maryland Baltimore is expanding research collaborations and educational exchanges in Haifa, Jerusalem, and Tel Aviv. MIDC’s role is more critical than ever and I’m thrilled that it is meeting the challenge. The Embassy of Israel to the United States in Washington, D.C. is Israel’s largest embassy in the world. The Ministry of Foreign Affairs in Israel formulates, implements and presents foreign policy of the Israeli government; the Embassy in turn works to present those policies to the United States government. The Embassy acts as a liaison to strengthen the ties between the two governments. 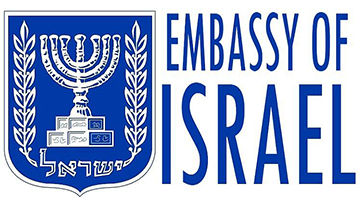 The Embassy of Israel has many departments that work with the US government on a variety of specific issues. Departments include those of the Ambassador, Deputy Chief of Mission, Political Department, Congressional Affairs, The Public Diplomacy Department, Press Office, Cultural Affairs, Academic Affairs, Economic Mission, Commercial Mission, Defense and Armed Forces Attache and Police and Security Attache. 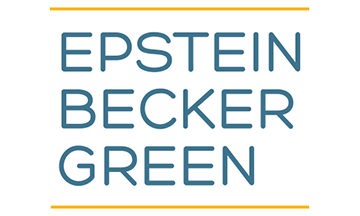 Epstein Becker Green has more than 40 years of experience serving clients in health care, financial services, retail, hospitality, technology, and other industries, representing entities from startups to Fortune 100 companies. Operating in offices throughout the United States and supporting both national and international clients, the firm’s lawyers are committed to uncompromising client service and legal excellence. For many years, Epstein Becker Green has maintained strong ties to the Israeli business community. 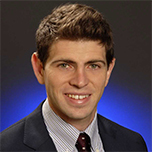 And through the firm’s Israel Initiative, we provide advice, counsel, and representation to Israeli companies that are operating or seeking to operate in the United States, as well as companies and investors looking to do business in Israel, U.S. affiliates of Israeli parent companies, and U.S. investors who crave cutting-edge Israeli technologies. We guide these clients safely through the complex and ever-changing U.S. legal system. Our Israel Initiative consists of lawyers who regularly travel to Israel; appreciate Israel’s economic, political, and social environment; have extensive experience working with Israeli clients; and speak regularly before U.S. and Israeli audiences, providing insights on new developments that may impact their U.S.- and Israeli-based operations. Our lawyers also understand the special and unique challenges faced by Israeli businesses in the United States, those seeking to sell their products in the United States, and U.S. entities looking to invest in Israeli products and companies. Our clients benefit from having a legal team that not only knows their industry but also has the experience and skills required to help them overcome their challenges and concerns and reach their goals. For more information, visit www.ebglaw.com. A regional, non-profit health care organization based in northwest Baltimore, LifeBridge Health serves patients in metropolitan Baltimore, the state of Maryland and the mid-Atlantic region. One of the region’s largest, most comprehensive and most highly respected health care providers, LifeBridge Health delivers health care services at four hospitals and a variety of subsidiaries and affiliated units, and advocates preventive, wellness and fitness services, and educational programs. Sinai Hospital of Baltimore, founded in 1866 as the Hebrew Hospital and Asylum, builds upon its Jewish heritage in providing care for all. An agency of The Associated: Jewish Community Federation of Baltimore, Sinai features renowned centers of excellence, with national and international acclaim. The state’s largest independent academic medical center, Sinai trains approximately 400 medical students from around the world each year. Northwest Hospital employs a strong philosophy of patient-centered care with all private inpatient rooms and is highly acclaimed for surgical innovation and outpatient services. Carroll Hospital, a community hospital, offers the latest in medical technology, experienced specialists and programs and services on par with larger urban medical centers. Levindale Hebrew Geriatric Center and Hospital provides quality skilled long-term, respite, dementia, respiratory, comfort/hospice and rehabilitation services. Levindale, founded in 1890 as the Hebrew Friendly Inn, employs a forward-thinking approach to elder care. It also serves as an agency of The Associated.The future of health care is growing far beyond traditional hospital walls. Thus, LifeBridge Health established community partnerships with health-related businesses, expanding its footprint to offer a full continuum of care to community members near their homes and places of work. More than 500 aligned community-based physicians practice in growing areas like Foundry Row, Hunt Valley and Mays Chapel, from greater Baltimore to Harford and Howard counties, with access to the extensive resources that are part of LifeBridge Health. 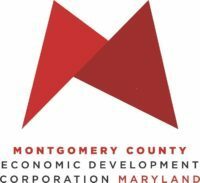 The Montgomery County Economic Development Corporation (MCEDC) is the official public-private organization representing Montgomery County, Maryland. 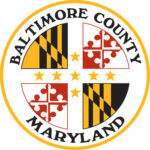 We help accelerate business growth for companies that are planning to start, expand or relocate to Montgomery County. Our team of business retention and expansion experts help connect companies to top talent, prime locations and access to business and market intelligence. With 18 federal agency headquarters located within the County, plus proximity to the Nation’s Capital and its numerous federal agencies, Montgomery County offers a premiere business location in the robust Mid-Atlantic region. We are a global innovation center for industries ranging from BioHealth and Technology to advanced manufacturing, financial and professional services. With one of the smartest workforce pipelines in the U.S., 57% of adults over 25 years of age have a bachelor’s degree or higher and 31% hold a graduate degree. Montgomery County is well known for its diversity of people, places and thought, with 138 languages spoken in community households and 4 of the 10 most diverse U.S. cities located right in our County. It’s a fantastic place to work, live and play – and one of the best places in the country to grow business. United connects the world every day through a comprehensive route network to world-class international gateways in Asia and Australia, Europe, Latin America and the Middle East with non-stop or one-stop service from virtually anywhere in the United States. Starting on May 22, 2019, United’s new service between Washington Dulles and Tel Aviv will offer convenient connections to nearly 70 destinations in the United States. United Airlines is the largest U.S. carrier to Israel and has continuously served the destination since August 1999. United is proud to have U.S. mainland hubs in Washington, D.C., Chicago, Denver, Houston, Los Angeles, Newark/New York, and San Francisco. Its modern fleet is the most fuel-efficient among U.S. network carriers (when adjusted for cabin size). United Airlines and United Express operate nearly 4,800 flights a day to 353 airports across five continents. In 2018, United and United Express operated more than 1.7 million flights carrying more than 158 million customers. Every day, we help unite the world by connecting people to the moments that matter most. This shared purpose drives us to be the best airline for our employees, customers and everyone we serve. For more information, visit hub.united.com follow @United on Twitter or connect on Facebook, https://www.facebook.com/United. Anne Arundel County is home to BWI Thurgood Marshall Airport, the City of Annapolis, Fort George G. Meade, and large federal agencies including the National Security Agency, Defense Information Systems Agency and the U.S. Cyber Command. AAEDC offers businesses financing, site selection assistance, permitting/ zoning guidance, workforce development support, market research and small business counseling. AvideonCRM is a leading cloud computing services provider, delivering world-class solutions based on the Salesforce.com platform. We help clients align their business and IT strategies so they can effectively apply technology to business processes. Since our founding in 1999, AvideonCRM has managed hundreds of successful cloud computing implementations under our belt – ranging from Salesforce SalesCloud and ServiceCloud deployments to the most complex custom application development projects on the Force.com platform. Baker Donelson is among the 60 largest law firms in the country, with more than 700 attorneys and public policy advisors representing more than 30 practice areas to serve a wide range of legal needs. Clients receive knowledgeable guidance from experienced, multi-disciplined industry and client service teams, all seamlessly connected across 21 offices in Alabama, Florida, Georgia, Louisiana, Maryland, Mississippi, South Carolina, Tennessee, Texas, Virginia and Washington, D.C.
BECO Management, Inc. is a commercial real estate enterprise that owns and manages over seven million square feet of office, flex and warehouse space throughout Maryland, Virginia, North Carolina and Illinois. Founded in 1986 and headquartered in Rockville, Md., the firm is a nationally recognized industry leader and long-term holder of real estate. For more information, please visit www.beconet.com. Covington & Burling LLP is an international law firm with offices in Beijing, Brussels, Dubai, Johannesburg, London, Los Angeles, New York, Palo Alto, San Francisco, Seoul, Shanghai, and Washington, DC. We have the ability to combine the tremendous strength in our corporate, disputes, white collar defense and investigations practices, with a deep knowledge of policy and policymakers, and one of the world’s leading regulatory practices. This combination enables us to create novel solutions to our clients’ toughest problems, successfully try their toughest cases and deliver commercially practical advice of the highest quality. Crowell & Moring LLP is a locally-based international law firm with more than 500 lawyers in the US and Europe. Our premiere Israel Practice represents more than 50 Israeli companies doing business in the US and a great number of US clients doing business in Israel. Sophisticated, pragmatic, innovative and business-oriented. ELTA North America is a global leader in the design, manufacture and support of innovative electronic systems for the United States government. These proven high performance systems and a focus on customer satisfaction are the foundations of the company’s commitment to providing solutions to the nation’s warfighters, security personnel and first responders. ELTA North America was voted a Baltimore Sun “Top Workplace” in 2017. In 1969, former Tuskegee Airman C.D. Lester began a venture capital firm in the Washington, D.C., area with the goal of powering the next great businesses in the city — and the world. 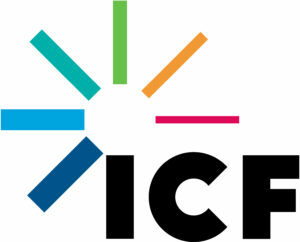 ICF is a global, diversified firm that combines the entrepreneurship and dynamism of a new company with a solid reputation and expertise in the consulting industry—offering solutions that help clients worldwide solve their biggest challenges to achieve their most formidable goals. Founded in 1969, KatzAbosch is a leading middle market CPA and business consulting firm primarily serving the Mid-Atlantic region. Our mission is to provide the highest quality accounting, tax, financial, and management consulting services to our clients. We understand the needs and challenges of our clients and we have made it our obligation to create, grow, and protect their asset value. Our firm is also ranked among the Top 15 Largest Accounting Firms in the Baltimore Area by the Baltimore Business Journal and among the Top 200 Accounting Firms in the U.S. by Inside Public Accounting. 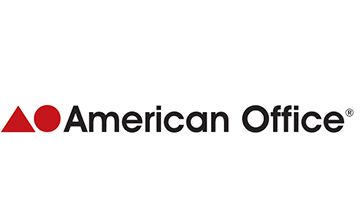 Offit Kurman Attorneys at Law is a dynamic legal services provider assisting clients throughout the mid-Atlantic region from New York City to Washington, DC. Our firm is well positioned to meet the legal needs of dynamic businesses and the people who own and operate them. Offit Kurman offers a wide array of legal expertise while continuously striving to minimize the impact on your bottom line. At Offit Kurman, we are able to offer rates consistent with (and often below) those of firms that handle comparable legal matters because we are dedicated to offering you the legal services you need in the most productive and cost-effective manner. 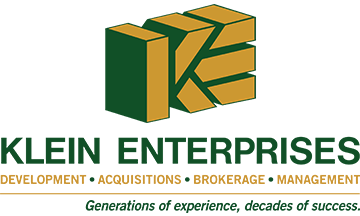 Over four generations, Klein Enterprises has grown from a single department store to more than 3 million square feet of commercial and residential properties, all while upholding a tradition of hard work and innovative ideas. 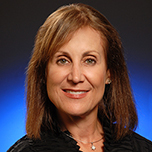 Klein Enterprises, has decades of experience and success in development, acquisitions, brokerage, leasing, property and asset management. 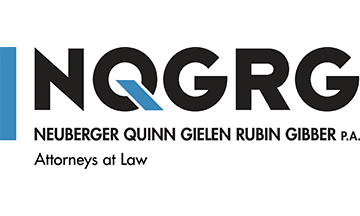 Neuberger, Quinn, Gielen, Rubin & Gibber, P.A., a respected Mid-Atlantic law firm, has the creative vision it takes to deliver efficient, goal-driven counsel to businesses and individuals around the country. Our talented attorneys are dedicated to ensuring your legal needs are addressed with the utmost care and professionalism. 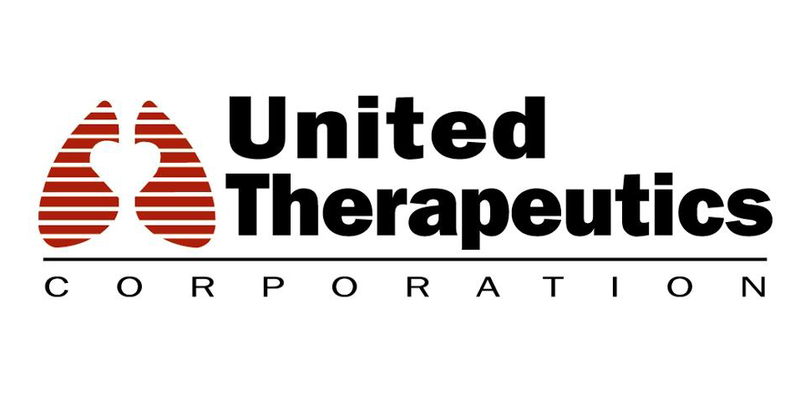 United Therapeutics Corporation is a biotechnology company focused on the development and commercialization of innovative products to address the unmet medical needs of patients with chronic and life-threatening conditions. We have five approved products on the market today and are relentless in our pursuit of “medicines for life” ®. University of Maryland, Baltimore (UMB) is a thriving academic health center for biomedical research. In FY18 UMB’s research enterprise generated over $665 million, and more than 40 license agreements pushed new vaccines, drug targets, robotics, therapeutics, devices, software tools, and cutting-edge techniques to the marketplace. Eight new startup companies were created using technology licensed from the University. Since 1933, clients have turned to Whiteford, Taylor & Preston for trusted representation and guidance on issues critical to achievement of their business goals. With over 170 attorneys in 16 offices located in Delaware, the District of Columbia, Kentucky, Maryland, Michigan, New York, Pennsylvania and Virginia, we are one of the mid-Atlantic’s leading law firms. 800-987-8705.